Philip Green and the BHS Pension Scandal: A Cause of Change in British Company Law? 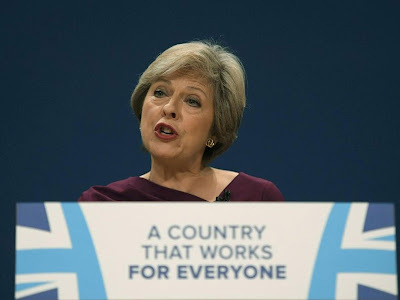 Today’s post is a short reactionary post to the statements made today by the Prime Minister, Theresa May, regarding the potential future of Company Law in the U.K. With regards to the protection of pension funds within large businesses, Mrs May stated that ‘today I am setting out our [the Conservative Party] plans, if elected, to ensure the pensions of ordinary people are protected against the actions of unscrupulous company bosses’. In light of this, this post will look at the propelling rationale for this election campaign agenda, and also look at the reality of the situation by asking whether the Government would really punish the bosses of the largest and most influential companies in the country. The reason why the issue of company pension funds is being debated by the leaders of the main political parties in the U.K. is, predominantly, because of the scandal that emanated from the collapse of large British retailer British Home Stores last year. In Financial Regulation Matters, we have already discussed this scandal from two perspectives: the first post was concerned with the conduct of Sir Philip Green with regards to his selling the retail icon to a less than stellar businessman, and his subsequent pledge to ‘sort’ the crisis that emerged with regards to the £500 million deficit in the company’s pension pot for its employees; the second post analysed the proposal by Frank Field to incorporate corporate governance standards aimed at public companies within the realm of private companies in the U.K., which took the form of proposing that private companies should abide by the Financial Reporting Council’s corporate governance code. So, rather than go over those stories in any great detail again, we shall instead focus upon the aims of the Prime Minister. Donald Trump’s Plans to Cut Corporate Tax Rates by 20%: The First Domino To Fall in the Story of a Race to the Bottom? Today’s post reacts to the news that President Trump is seeking to ‘cut corporate tax to 15%’ from the current rate of 35%. The proposal, which was announced this week, represents what White House officials are labelling as the ‘largest tax reform in US history’ and which has its basis in the (supposed) aim of repatriating taxes on money that major US companies like Apple, Google, and Microsoft generate abroad. 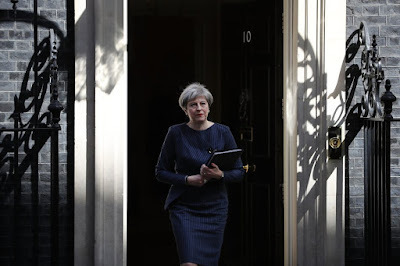 For this post the focus will be on the larger picture; specifically, the focus will be on the connection between this story and the fears that Brexit will promote the idea that Britain will set itself up as a tax-haven if it is shut out of the single market. The two developments, potentially, point to a much larger issue that has been mentioned time and time again here in Financial Regulation Matters – the escalation in divisiveness within modern politics is playing right into the hands of big business. The plans to cut the US Corporate Tax rate by a massive 20% have not yet come to fruition. Speaking yesterday, new US Treasury Secretary Steven Mnuchin, who has been the focus of Financial Regulation Matters previously, stated that the Administration is moving ‘as quickly as we can’ to pass the reforms, which Chief Economic Advisor Gary Cohn suggested was a ‘once-in-a-generation opportunity to do something big’. The plan, which would be the first major corporate tax reform in the US since 1986, aims to redirect the taxes that major US companies are paying to tax-havens all around the world – a recent study by Oxfam suggested that the 50 biggest US companies ‘stashed another $200 billion of profits in offshore tax havens in 2015 alone, taking the total to approximately $1.6 trillion’. 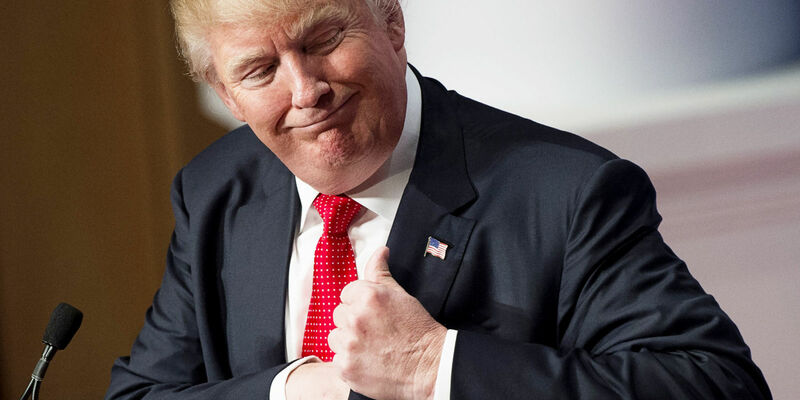 The plans will slash taxes for companies large and small – including, as many media outlets have noted, Trump’s own businesses – but will see the largest firms experience a $328 billion tax break. Critics have responded in the expected manner by pointing out that the proposed cuts are ‘basically a huge tax cut for the rich’, whereas other critics have chosen to focus on the practicality of the cuts by asking how the national debt will be lowered by reducing tax revenue; Governmental aides have suggested that this issue would be ‘offset by the new revenue created by the rapid growth [the tax cuts] would trigger’. This is obviously an important issue as the US Government is flirting with yet another ‘government shutdown’ because of the ever-increasing national debt – it has been suggested the tax cuts could add up to $2.4 trillion to the national debt, which at the time of writing stands at just under $20 trillion. Leaving aside the issues surrounding Trump and his own personal tax returns, which seem to be a consistent form of scandal, and also the fact that the proposed reforms have a very long way to go – Democratic Senator Joe Crowley insists that the White House needs to ‘get their act together’ – the in-your-face aspects of this story mask a much deeper issue. There is a fear, which was represented in the recent Oxfam report, that the cuts to US Corporate tax rates will trigger a ‘race to the bottom that will harm consumers in America as well as the world’s poor’. However, if we proceed on this globalised viewpoint, there is the potential situation that post-2016 politics – Trump’s election win; Brexit; the upcoming U.K. General Election; and the French Presidential Election (not to mention Germany’s at the end of the year) – and the sheer divisiveness that is resulting from it is playing right into the hands of corporate elites. 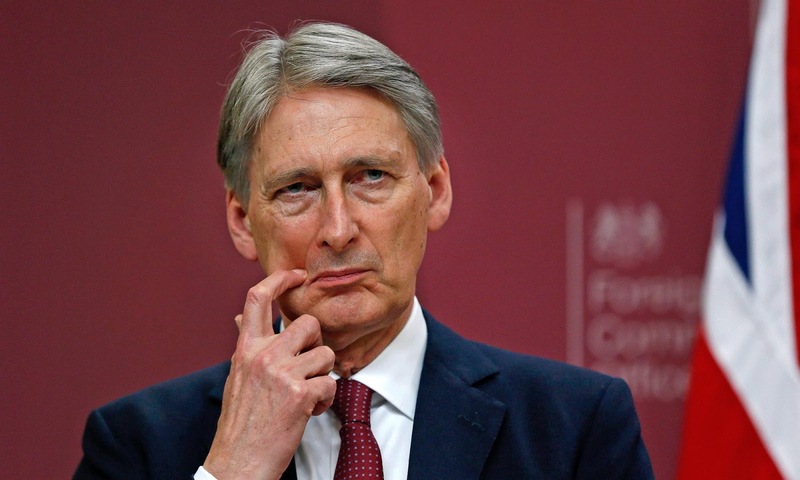 In January of this year, the Chancellor of the Exchequer Philip Hammond, who was the subject of a recent post in Financial Regulation Matters, brazenly threatened that the U.K. is willing to ‘whatever we have to’ to bounce back after Brexit, including, amongst a number of other things, engaging in a tax-rate race to the bottom to make the U.K. into a tax haven to ‘regain competitiveness’ in the event of a so-called ‘hard-Brexit’. There are a number of issues with this threatening posture. The first is the realisation that the U.K. already has one of the lowest corporate tax rates in the G20, and plans to reduce the rate to 17% from 20% in 2020 would see the U.K. boast the lowest rate of any member, which has led some to fear for the consequential effects upon environmental and safety standards, as well as upon social cohesion. Others have argued that the move towards becoming a tax haven should be viewed against the common features of tax havens, which they argue include anti-democratic sentiments, high house prices, disproportionate employment economies, and a high cost for everything for those who actually reside in tax havens. Whether or not the British Government carry out this threat is another matter entirely, but the sentiment that the threat contains is telling – we are entering into a phase where the aim of the game is to court the business of corporate elites. Labels: Brexit, Corporate Tax, Donald Trump, Steven Mnuchin, Tax Havens. U.K. Firms Ready Themselves to Reveal Gender Pay Gaps: A Private Or Public Solution? 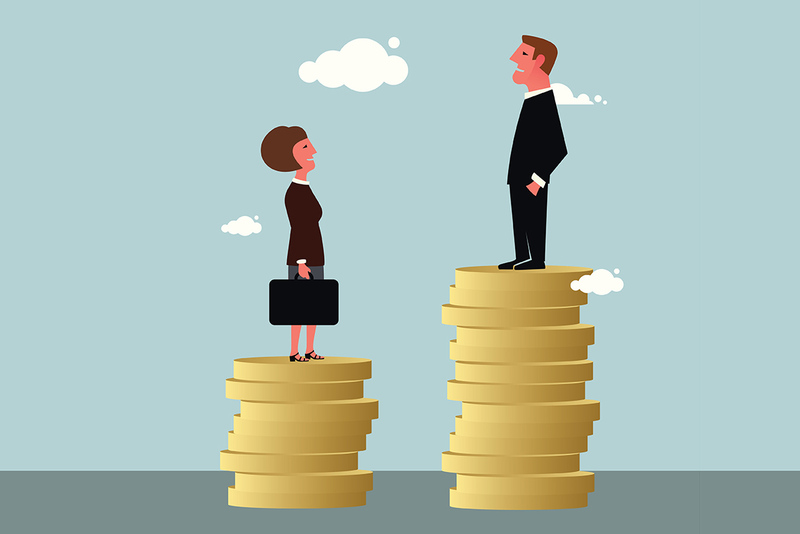 Today’s post focuses upon the upcoming raft of company disclosures in the U.K. that will detail the differences between what Men and Women are paid. The first companies to reveal their internal statistics include Virgin Money, Schroders, and Utilities company SSE, with the headline figure being that one of the companies, Virgin Money, has pay gaps of an extraordinary 36%, which is roughly twice the national average. In this post, then, we will look at the disclosures that are forthcoming and assess whether the actual task of forcing companies to reveal the gender pay-gaps is even something we should be insisting upon, or whether there is more to be done on a much bigger scale – there is clearly much that needs to be done, but the question remains of how it should be done to eradicate the pay-gap once and for all. The new regulations, which will be monitored by the Equality and Human Rights Commission, are aimed at all companies in England (and also public bodies) that employ more than 250 people. The aim of the regulations is to enforce the disclosure of how companies pay men and women, with it being expected that 9,000 companies employing more than 15 million people will disclose this information, representing half of the workforce in the U.K. 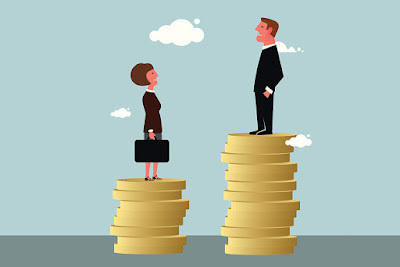 Even though it has been technically illegal to pay men and women different amounts for the same position for over 45 years with the enactment of the Equal Pay Act 1970, which was more recently amended and superseded by the relevant parts (s. 64-71) of the Equality Act 2010, the gender pay-gap still stands at 18%. The companies who have declared so far have revealed somewhat alarming figures, with Virgin Money being the headline company in this regard. The bank revealed that men who work at the company earn, on average, more than 36% than women do, and at the asset management firm Schroders, the difference is 31%. PricewaterhouseCoopers found a 15% difference, whilst SSE reported a 23.4% gap in their pay rates. Onlookers have been keen to point to the mitigating factors however, like the issue that statistics (as if often the case) may not represent the true picture. For example, the national pay gap of 18% does not, according to The Independent, take into account the fact that men hold a larger proportion of senior and high paying roles, whereas women hold a majority of the lowest-paying jobs, with these statistics that were sourced from the Confederation of British Industry (CBI) supplementing the view that ‘the way men and women are segregated into different job functions is the biggest driver of the gender wage gap’ – when these factors are taken into account, it has been stated that the actual national pay-gap is around 5.5%. The results, and the push to declare such data moreover, has elicited a varied response. Virgin Money’s ‘People Director’ Matt Elliot is quoted as saying that as the firm had too few women in senior roles, with men making up 67% of the highest paid positions as opposed to just 26% of the lowest-paid, there is a need ‘to make consumer-service roles more attractive to men’. SSE found that 34% of men in its company received a bonus, compared to just 12% of women, and when paid the bonuses were, on average, 32% larger for men. As for the issues of bonus rates, it is hard to justify such a chasm – the fact that the firm chose to blame a gender gap in science and technology education is telling. With regards to Elliot’s comment, it seems almost remarkable to suggest that the way the company should deal with a lack of female representation is to encourage men to take lower paying jobs, rather than anything to do with the firm’s recruitment procedures. On this point, the CBI raises a point in which it states, via a report by a partner at law firm CMS, ‘if employers are not responsible for all the problems, they cannot be held accountable for all the solutions’, adding that more affordable child care and better education for women would bring women’s pay in line with men. Whilst it does remove the burden from business, it does raise an interesting point regarding the systematic assistance in this area, which a columnist in The Telegraph agrees with then they state that ‘childcare in London can easily cost £25,000 per year. For all but the super-rich, this is simply unworkable’, which is capsulated by the headline ‘the gender pay gap is about motherhood. Everything else is just noise’. The role of the government, therefore, can be seen as crucial in this area. In terms of pure statistics, the data between this country and others shows the need for action by the state. In the U.K., it has been found that many parents are spending more on childcare than they do on their mortgage, with average fees for one child in part-time nursery and another in an after-school club costing £7,549 a year. Statistics from around Europe paint a rosier picture, but there are caveats to each statistic, with the examples of Finland being cited as needing to be understood in terms of the high tax rate, and Sweden as needing to be understood in the societal effects of the lack of ‘stay at home mums’, to quote an ‘expert’. Nicky Morgan, the Education (and Equalities) Secretary, noted the actions of the government, while maintaining that this issue is a problem for business to resolve: ‘the job won’t be complete until we see the talents of women and men recognised equally and fairly in every workplace. That why I am announcing a raft of measures to support women in their careers, from the classroom to the boardroom… at the same time, I’m calling on women across Britain to use their position as employees and consumers to demand more from business’. This has been supported by a partner at Allen & Overy, who suggests that ‘the gender pay provisions are likely to do more for pay parity in five years than equal pay legislation has done in 45 years’, with the abiding hope that firms that reveal and act upon the data in a positive manner ‘will have an advantage both with investors and in recruiting’. However, is this pro-market sentiment appropriate for this sector, and does the sentiment being offered by the market and the Government do enough? Ultimately, the answer has to be ‘no’ on both accounts. Firstly, the sentiment does not go even nearly far enough because it focuses on the difference between men and women; what about the divergence between women, if we focus on women just for one moment, from different backgrounds? Does that not matter? Research recently found that the difference between Pakistani and Bangladeshi women and white women was 26%, whilst black African women earned only 80% as much as their white male counterparts, with the divergence between a disabled woman and non-disabled woman being 22%. These factors, and the official ignorance, or perhaps denial, of them means that the pro-market sentiment is particularly inappropriate. Yes, businesses need to do an awful lot more, but urging women to act with their custom is hardly an effective method of changing this socially-ingrained problem. The fact that 82% of firms, based upon a survey of 145 employers, were not even reviewing their pay practices in light of the new regulation, speaks volumes. The pro-market stance of the current government is clear to see, and it is continuing to affect our societal values. Businesses are at once being put under pressure to perform ‘for the good of the economy’, but also being tasked with altering deep-rooted social norms. The government, who are elected to take such action, are claiming that business should do it. The result? The result is simple – the buck is being passed. Women are not being supported by the state to compete at the upper echelons of the workplace, and are not being supported by the institutions that they work for; obviously something needs to change but the question is who will initiate that change and carry the torch for this societal need? According to the above, it is women who will have to do it by being conscientious with where they spend their money; that statement is indicative of a dire state of affairs in this supposedly ‘modern’ society. 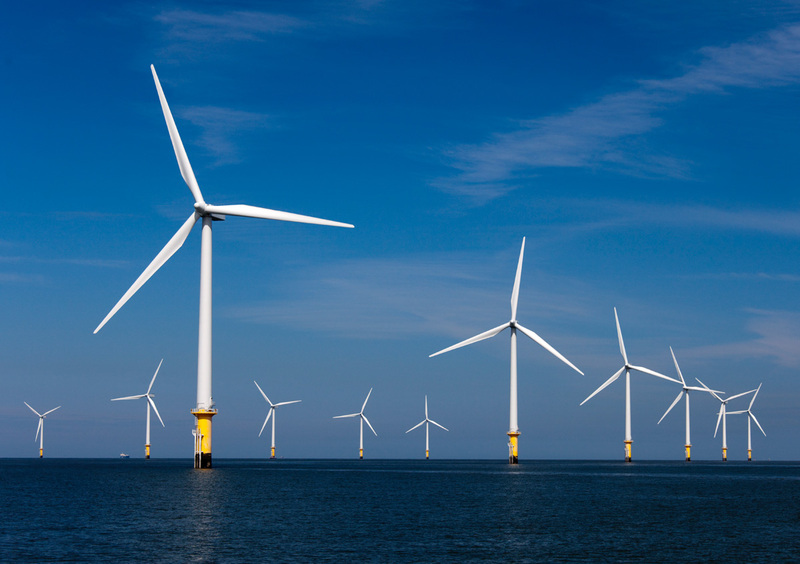 The Privatisation of the Green Investment Bank: Yet Another Example of the Imbalance Between Short-Term Gains and Long-Term Losses? Today’s post was intended to move away from the world of politics after a number of posts in Financial Regulation Matters focused upon the actions of the political leaders in the U.K. However, politics and financial regulation, and business matters moreover, are intrinsically intertwined. Therefore, today’s post will remain in this juncture between the relevant fields and look at the recent news that the British Government is about to sell the Green Investment Bank (GIB) to a consortium led by the Australian-based Macquarie Group. So, in this post, we will take a look at the GIB in more detail and see whether the claims from the government that the deal represents good value for the taxpayer really hold true under scrutiny. The Green Investment Bank, which proudly proclaims on its website to be ‘first bank of its type in the world’, was created in 2012 after consultations stemming from the 2010 General Election. In 2012 the bank received the authorisation from the European Commission to receive state aid and subsequently became a fully-fledged financial institution. The bank, which currently has only one shareholder – the U.K. Government – has a capitalisation of nearly £4 billion that was designed to allow it to invest in ‘green’ endeavours up and down the country, ranging from wind farms to bio-waste processing plants. In 2015, the Government decided that it would sell a majority stake in the bank, stating that the move would give the bank ‘more freedom to borrow, remove state aid restrictions, and allow it to attract more capital’ and this week a bid was accepted, preliminarily, to that end. The bid of £2.3 billion, which comes from a consortium led by the Australian-based Macquarie group but, also interestingly for British academics, contains the Universities Superannuation Scheme (USS), sees what would be, potentially, Britain’s fastest-ever privatisation create a £160 million profit for the public purse which one onlookers suggests ‘we can’t grumble about’. However, there have been a number of questions raised about the proposed sale. The first point of call in terms of opposition was the last-ditched attempt for a judicial review by a rival bidder, Sustainable Development Capital, which was based upon the need for the Government to operate in a way which create the best value for the taxpayer, although it was subsequently dismissed by the courts. 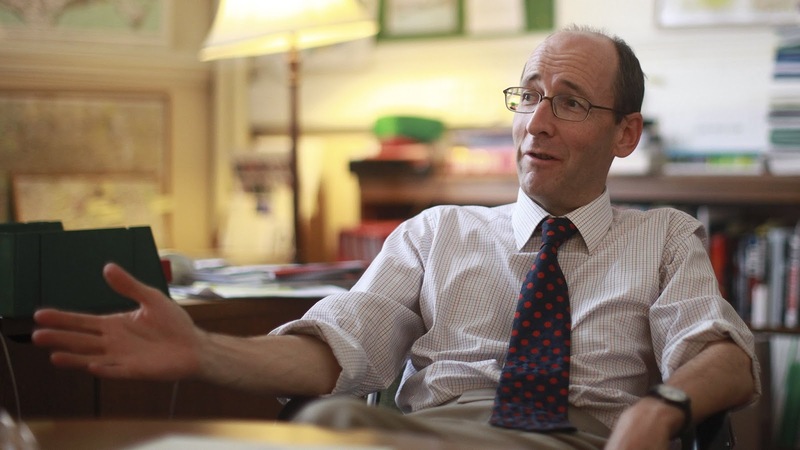 The potentially fastest ever privatisation – the process has yet to be officially completed – raises a number of issues further than the issue of ‘value for money’ because of the reputation of the leader of the consortium, with the phrase ‘asset-stripper’ being highlighted by a number of media outlets. At the turn of the year, when the deal was first mooted, the fears were that the bank was preparing to sell many of the constituent parts of the GIB’s portfolio once it secured the deal, with wind farms being the prime contender. This led to Scotland’s Economy Secretary, Keith Brown, writing officially to the Climate Minister in Westminster, Nick Hurd, to warn that the sale could result in the new owner embarking upon an ‘asset stripping’ exercise, although the company insisted that it has a ‘substantial and longstanding commitment to the renewable energy and clean technology sectors’. As for the USS, its role will be to help the new consortium by way of funding future investments to the tune of about £2 billion, which equates to it investing in two of the three new investment vehicles being created by the new consortium. However, although it is expected that USS as an institutional investor will invest in these sorts of endeavours, it is the make-up of the entities in which it is investing which is of concern. USS recently joined forces with Credit Suisse, who as we know here in Financial Regulation Matters has been enduring a torrid spell, to invest in private debt that contains ‘AAA-rated or AA-rated listed securitised debt notes’ – we do not need a great memory to know that this means very little. Also, the integrity of the Macquarie group has been called into question, with one commentator noting that Nick Hurd is ‘betting that the interests of a bank known as Australia’s answer to Goldman Sachs will coincided with the ambitions of UK policy on green infrastructure. Let’s see how, five years from now, that gamble has worked in practice’. Encouraging Australia’s answer to Goldman into the arena does not particularly sound like a great idea for the future of Britain’s investment in anything ‘green’. The Government, ultimately, are spinning this move as a clear indicator of the potential of Theresa May’s Conservative Government in light of the forthcoming General Election, but it is worth noting that the Conservative Government were eager to offload the bank as soon as possible anyway, in order to relieve the books as the bank stood as a liability for the Government. The purpose of these posts is not to lambaste only the Conservative Government because, in essence, all political parties have an awful lot to answer for. However, the Conservatives are currently in power and, as such, will receive the majority of criticism (I’m sure they do not lose sleep over it). With that in mind, the headline that the Green Investment Bank has created a £160 million surplus is rightly being kept off the business pages, with the actual headlines being that the Government are privatising an entity, faster than they ever have before, which is helping to fund green projects in this country. Not only that, but the entity they are selling to are renowned corporate players and, as such, are raising huge concerns as to the appropriateness of them taking over. The attachment of the USS was probably supposed to bring authority to the move, but the recent actions of the USS raise further concerns. Ultimately, the £160 million will be worthless if the group strip the assets of the GIB, and even more so will look like a rip-off if, as expected, the firm reduce the amount of investment once the news cycle moves along. The speed of this privatisation is arguably the most remarkable element to this story however, with only 5 years from start to finish representing a clear move by the Government to signal its intentions – the country’s assets are available to the highest and most preferable bidder. The Issue of Bank Branch Closures: Should the Continuation of Bank Branches Be Enforced? Today’s post is concerned with the issue of banks closing their physical branches up and down the U.K., which has recently led the Shadow Chancellor John McDonnell and other politicians to call for an end to what is being described as an ‘epidemic’ of bank branch closures – McDonnell has pledged that Labour will tackle the issue by only permitting branches to be closed only after extensive consultation and the gaining of permission from the Financial Conduct Authority, should they win the next General Election. However, this post will examine the issue from the obvious point of the need to keep branches open, but also from the point of view of whether it is right, or indeed appropriate to force private companies to operate in a manner which benefits the public but not their own profit margins. Firstly, it is important to note the current state of bank branch closures in the U.K., because the rate is rapidly increasing. According to a House of Commons briefing paper, there were 20,583 bank branches in 1988 in the U.K., but only 8,837 in 2012. The Financial Times reported how more than 1,000 bank branches have been closed between 2014 and 2016, whilst the Guardian reports that there are 486 more closures scheduled for 2017 alone. 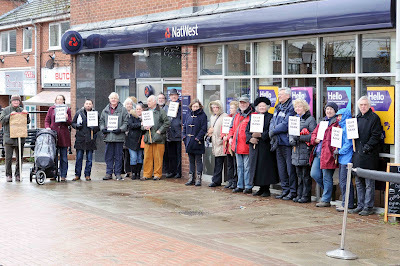 This has led McDonnell to state that bank branch closures have ‘blighted our town centres, hurting particularly elderly and more vulnerable customers, and local small businesses whilst making profit for themselves’, whilst politicians in Scotland have stated that pressure needs to be put on the banks so that they ‘understand the needs of local communities’. The House of Commons paper explains how ‘the traditional role of banks within the community, and the effects of branch closures on customers, banking staff and the community itself, mean that closures, especially in rural areas, are often controversial’, but the question is why is it controversial? The obvious issue is in relation to the availability of banking services, and crucially of financial advice, to people who are deemed to be ‘vulnerable’ i.e. the elderly or the financially uninformed. This takes us back to an important post in Financial Regulation Matters were we discussed how the Government are apparently embarking upon a push to increase the amount of financial education within society, as demonstrated by the establishment of the ‘Financial Exclusion Committee’. In line with the ethos of the Financial Exclusion Committee, the ‘Campaign for Community Banking Services’ has noted that the issues of access to financial services, sustainability of communities, and environmental damage (through increased travel to branches further afield) are all knock-on effects of the increased rate of branch closures. In essence, we have a governmental push to increase financial literacy and support at the same time that the most visible source of that support is being withdrawn, which is the main source of criticism from onlookers. However, what of the arguments of the banks in radically changing the culture of the country and its communities? A report cited in the House of Commons report states that ‘there is a clear and consistent demand for branches declared by the British public, but also that this preference is also [borne] out by people’s actual behaviour too’, and that the closures are not a response to demand conditions but as a result of a ‘business calculation’. However, the banks argue differently, with RBS declaring that ‘simple’ branch transactions across its chain of branches (in conjunction with its NatWest branches) have fallen by 43% since 2010, whilst online and mobile-based transactions have increased by an extraordinary 400%; HSBC similarly declared that the footfall in its branches had reduced by over 40% in the last five years. Statistically, the banks have a point, but as is usually the case, the statistics paint a different picture. Whilst it is right that there has been a reduction in footfall, and that only 11% of the population use branches, that 11% consists of the elderly and poorer customers. Therefore, there is a burning question that needs to be raised when such figures are cited – what do we expect from the banks? Do we expect them to behave like the companies they are i.e. prioritise their own growth and protection above all else? Or do we expect them to play some societal role and take into account the needs of society? The answer to that question has been debated for a very long time. The issue of what is expected of the banks can be neatly categorised by the economic and regulatory studies of so-called ‘public goods’. ‘Public Goods’, in the economic sense, are ‘things’ that are provided for the public, and contain certain characteristics. Essentially, a ‘pure’ public good has both ‘nonrival’ and ‘nonexludable’ properties, meaning that the good can be consumed by one person without reducing the availability of potential consumption by another (nonrival) and that the good is free to all (nonexcludable). The study of this phenomenon can be found in the field usually termed as ‘Public Choice’, but for our purposes an interesting discussion can be found in this interesting blog post by June Sekera. However, the term is often (and in this author’s opinion misguidedly) used interchangeably, alluding to a provision of a service as contributing positively to society (a better term could be used for this). Banking, on both sides of the Atlantic, is often perceived to be a ‘public good’, and this can be demonstrated by the consistent references to providing for a community. Yet, what we expect of a private, or indeed public company, is often alluded to, and herein lies the issue. Banks, particularly under Right-wing governments, are considered to be purely private institutions whose affairs the state cannot interfere, unless some illegal transgression has been committed. McDonnell, in representing the Left-wing, confirms that the Labour Government would actively interfere in the organisational procedures of private institutions, which is not particularly surprising knowing what we know about the main political parties. However, there has been little discussion as to why the state should interfere, or not, it has just been assumed that one’s political outlook will decide one’s views. There is, however, another way of assessing the situation. In the early 2000s, the leading banks took conscious efforts to defraud investors, engage in a systemic degeneration of ethics and standards, and ultimately put society at great risk, all because of one widely-held understanding – they were too-big-to-fail. Companies such as RBS in the U.K., and Bank of America in the U.S., understood that whatever happened, the state could not let them all fail. We know now that this was understood, and ‘too-big-to-fail’ has made it into common parlance as a result. Therefore, rather than the societally-dangerous reasons underpinning the Right-wing viewpoint of leaving business alone, absolutely, and the Left-wing approach of interfering in private business, it is better to understand it in these simple terms: relying on the public as a parachute intrinsically makes that company liable to consider the public more than companies that do not. 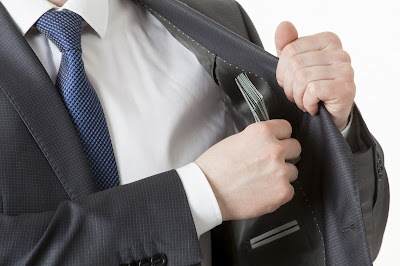 The work of the Financial Exclusion Committee has confirmed that there is a desperate need to increase financial education and face-to-face support, and as such the leading banks, particularly those that have directly benefited from the public fisc, must take an active role in meeting this required demand. Whether that means reducing the rate of branch closures can be debated, but there must be an effort to meet that demand – it is not enough, like RBS have done (a major beneficiary of public bail outs) to simply claim statistics as the reason for increased closures. Banks do not fulfil the requirements of the ‘public good’ designation on a number of accounts, but like the Financial Crisis seemingly changed the parameters in favour of the banks, it can now be brought back around to favour the most vulnerable in society. It is important that political bias does not interfere with this alteration, but that we simply adhere to the notion that everything has a price that must be paid – interest payments on bailouts are not enough for irrevocably changing the parameters of society. This short post is based upon a forthcoming article by this author that examines the viability of the latest entrant into the credit rating arena, the Analytical Credit Rating Agency (ACRA). The article, which is due to be published in the European Company Law Journal (and is available here in a pre-published version), looks at the chances of the ACRA succeeding when viewed within the parameters of perception, an aspect that underpins the credit rating sector. For this post, the focus will be upon introducing the ACRA, and then on examining the effect it may have upon the wider political issues affecting the Russian Federation. The Analytical Credit Rating Agency was established in November 2015 and comprises of 27 major Russian companies and financial institutions that serve as its shareholders. The agency, which became the first rating agency to receive accreditation from the Russian Central Bank under the new N 222-FZ Law which was designed to protect investors, has a relatively small operating capital of 3 billion roubles, or around £42 million. Nevertheless, the agency has a defined code of conduct, and aims to embody its key principles of independence, prevention of conflicts of interests, timely disclosures, and increased compliance procedures. Whilst these aspects are to be expected of any new entrant to the credit rating market place, the ACRA aims to make clear that its dedication to these principles separate it from its competitors. However, whilst the official line seems perfectly normal, there are other issues that some suspect may hamper any gains the agency may make. Under the new laws drafted by the Russian Central Bank, rating agencies operating in Russia are to be subjected to an increasing amount of intervention and regulation. For example, the new law gives the central bank the ability to supervise any agency acting in its jurisdiction on a daily basis, and also allows it to actively intervene in the composition of its board and management structure. As such, and in a much anticipated move, the leading rating agencies have reacted negatively to these developments and have ultimately withdrawn from the Russian market, with Moody’s and Fitch both closing their Moscow operations and withdrawing their ratings for Russian debt (Standard & Poor’s is in discussion with the Central Bank about how it may maintain its presence but not be subjected to the new law). With the ACRA being the first agency to be successfully granted accreditation under the new regulations, it may seem obvious to state that the situation looks rosy for the new agency. However, the knock on effects could be disastrous. The situation started with Russia’s annexation of Crimea, which ultimately led to sanctions from the U.S. against the Country and many of its leading business figures. As such, the leading rating agencies, all American of course, subsequently could not provide ratings for the businesses of these connected figures and, as Deputy Finance Minister Alexey Moiseev recently stated ‘we didn’t have any idea of those banks’ credit quality’. With the ACRA, there is now an organisation that will supply ratings for these connected institutions, but the interconnectedness between Vladimir Putin and business in Russia has led many to proclaim that the ACRA is simply ‘Putin’s rating agency’, a claim which has been vociferously denied by ACRA’s CEO Ekaterina Trofimova. Whilst there is no evidence of Putin’s connection to the new firm, the perceived connection is arguably more than enough to keep the suggestion going. Ultimately, the ACRA is a response to global-political issues that see Russia needing to fend for itself. The recent downgrading of Russian debt to ‘junk’ status, and also the ‘indefinite’ sanctions levied against the country in the wake of the annexation of Crimea, mean that Russia is, potentially, being cast adrift in terms of its position within the global marketplace. The recent escalation in tension between the U.S. and Russia seems to be indicative of sentiment that is based upon fragmentation and division, and the ACRA arguably represents the realisation of this sentiment within the corridors of the Kremlin. Whilst the move to create a nationally-focused rating agency makes sense for Putin in the current eco-political climate, it will perhaps hasten the seemingly inevitable situation whereby Russian debt becomes too risky for the global capital markets to hold. This process has already begun with the appropriation of the ‘junk’ status by the largest rating agencies, but Putin’s insistence on not bowing to their evaluations means that the chances of Russia returning to the global table, in terms of debt issuances, are more remote than ever before. Whilst this author has written a number of pieces suggesting that we, as a global society, need to move away from the Big Three’s ratings, there is an argument that would say now is not the time for Russia to be withdrawing ever further away from the global capital marketplace. The global economy would be much better served with an outward-looking Russia, but the recent establishment and cementation of the ACRA suggests that an inward-looking Russia is the one that we shall bear witness to in the near future, and perhaps even further into the future – the effects of this may be extreme in a number of possible circumstances.